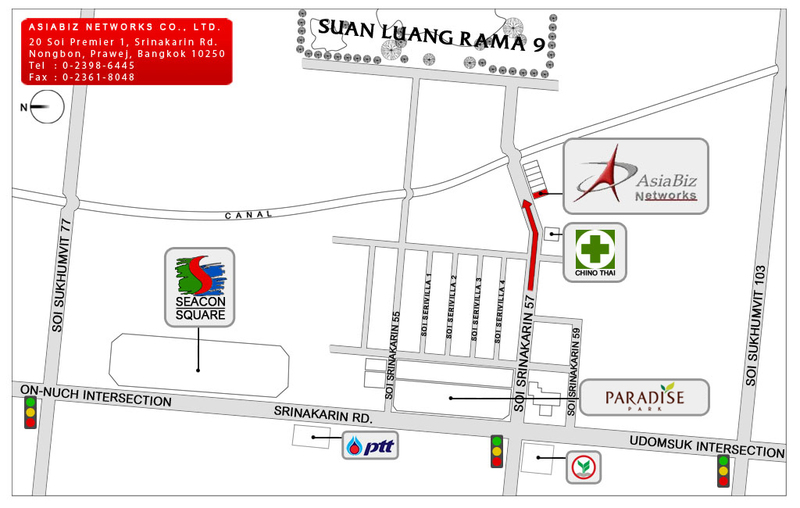 View our map and location, click on the icon shown below. AsiaBiz Networks is the leading IT consulting firm in Thailand with wide range of customers. At AsiaBiz Networks, we offers an attractive salary and benefit commensurate with qualifications. Our working environments offers substantial fringe benefit to work in Bangkok area. - Male, age 23-26, Thai nationality. - Bachelor degree in Computer Engineering. - 0-2 years experience in database and php programming. - Experience in web programming will be advantage. - Capability in problem analysis and provide effective solution. - Active, imagination, self motivate, pleasant personality, fair in English, work under pressure and hard working. All candidates should be of Thai Nationality with good usage of Thai and English. Send your resume and a cover letter with salary requirements. For more information, please do not hesitate to contact us via e-mail or in person.